We are known for our gathering spots. 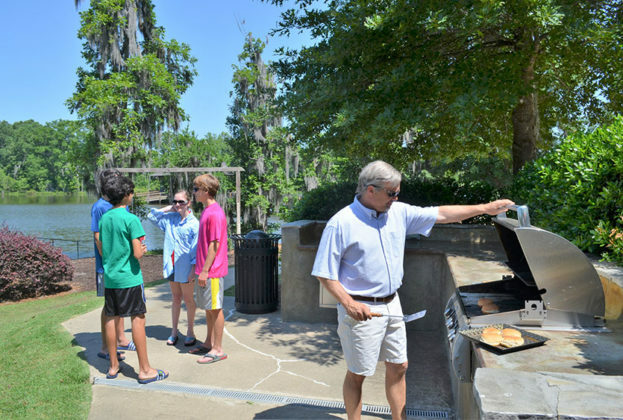 The Lucas Point Pavilion and adjacent grilling station serve as the perfect location for a birthday party, family get together or other celebration. Teak tables and chairs are perfectly situated inside the spacious pavilion with views of spectacular Lake Cameron and our award winning lakeside homes. The Grilling Station is also the spot for our annual “Hot Dog School’s Out” celebration, which is just one of the many events hosted by our active Homeowners Association. 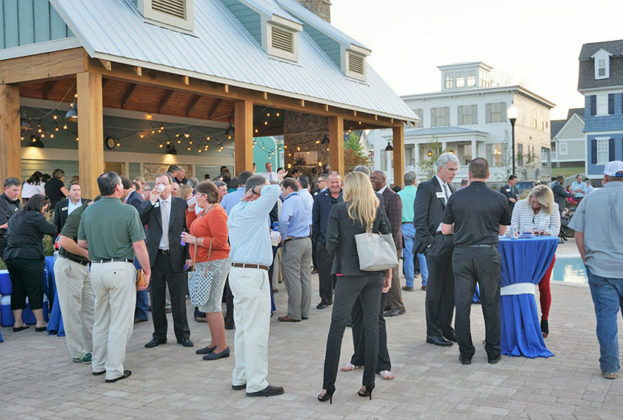 The Blue Heron Pool Club pavilion has proven to be a favorite spot for casual gatherings and memorable parties. 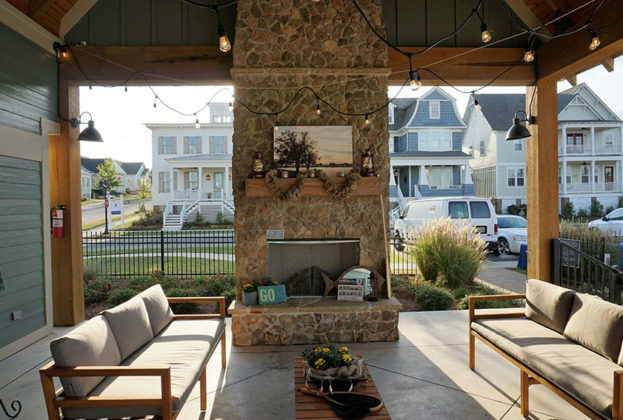 The stacked stone gas fireplace, casual seating area, serving kitchen and table seating offer everything a host needs for the perfect event. You don’t want to miss a sunset from the adjacent pool deck as its beauty is reflecting on the lake. It is truly breathtaking.